Great News! We are adding the final polishes to the Tarzan documentary. We started editing with some tons of photographs and 70 hours of videotaped interviews and footage. We have whittled it down to 1 hour and 15 minutes. I had very high expectations for the film, but it has far surpassed anything I could have hoped for. Next, it goes to Kermit Poling who is writing the music for the film and then to the sound man. As Allison finishes the film, I am switching to promotion, packaging and distribution. I still don't have any corporate sponsors. Most companies I've approached will not talk to me or even respond. A couple just said they weren't interested. Nevertheless, someone will step forward. 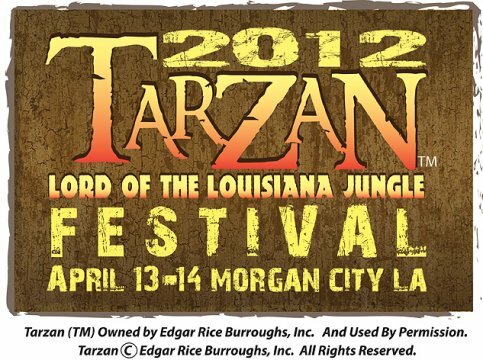 April 13 and 14, 2012 the town of Morgan City, LA is having a Tarzan festival to feature the premiere of the documentary and the re-edited original film Tarzan of the Apes. Kermit has done a tremendous job creating a new musical score that really breathes life into that film. 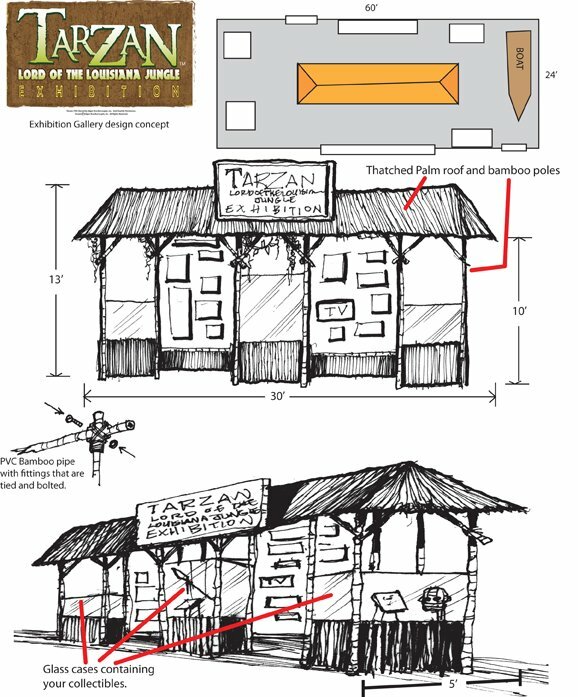 Also, we are creating a Tarzan exhibition for the Louisiana State Museum in Patterson, LA. This opens on April 12th. Finally, we are at the point where we are adding all the names of people who worked on the film or sponsored it. If you would like to be a sponsor, go to my website www.albohl.com and purchase a poster for $25. Your name will be listed in the credits. Once we add the names to the film, we will not be going back to add more. We would really appreciate your helping us at this very critical time. I am inviting you to be a part of furthering the fame of Ed Burroughs and Tarzan. 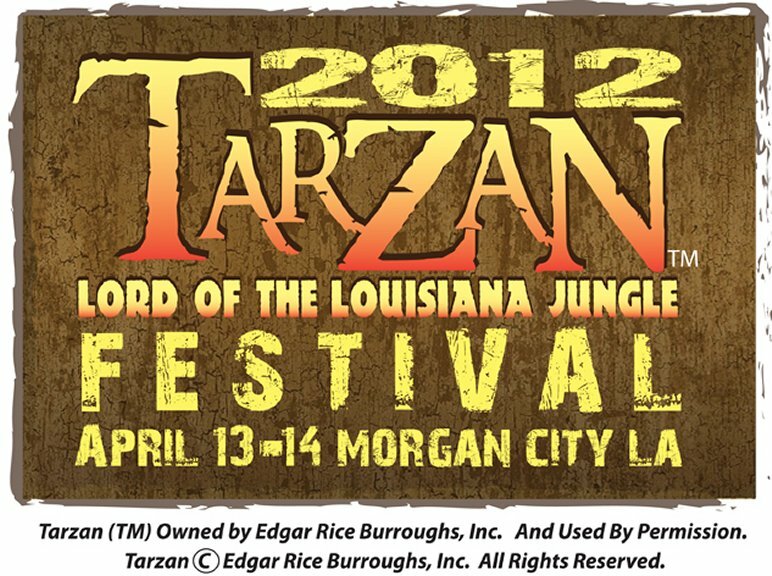 April 12, 2012, the Louisiana State Museum system has invited me to produce an exhibition about Tarzan of the Apes. For the past 13 years I have been the art director for a 100,000 sq. ft. science museum in Shreveport, LA. A good deal of my job has been to design exhibits, galleries and dress the Center for various promotions. I will be working with state museum personnel to fabricate an exhibition inside a 24’ X 60’ gallery at the Patterson museum outside Morgan City. While, the concept art below is rough, it give you an idea of the look of the stand-alone exhibit. It is 30 feet long and about 14 feet tall. It is made of real bamboo and thatched palm roofing material. In addition to your artifacts, there will be three or more monitors playing testimonials, various Tarzan yells (some of them are from you guys and gals), special lighting and a jungle/music soundtrack. The Louisiana State Museum and the state tourism bureau will be promoting the exhibition. We need more items to make exhibition worthy of Edgar Rice Burroughs and Tarzan. We need your help. Through the years the Tarzan name has been attached to many very unique collectibles. Items like Tarzan clubs, glue, ice cream cones, cigarette packages, coffee, bread, toys and art. Look through your collection and see if you have anything that is unique. The idea is to show just how popular Tarzan is and has been for 100 years. Choose your items and take a quick photo of them. Then, attach the photo in an email to me at al@albohl.com. This will go to the committee in New Orleans so that insurance and postage can be determined. Also, the photo will be a representation of the shape the item is in before it arrives. Nothing needs to be sent until after the new year.